Innovation has always been at the heart of A&L, and the old saying suggests home is where the heart is. That’s why we’re proud to bring the two together, through our innovative partnership with Arkistruct. The Arkistruct partnership is an opportunity to revolutionize Australian home design and create an attractive new option for first-time home buyers. Home ownership has long been an integral part of the Australian dream. But with competitive property markets and rising costs across the board, it’s difficult for hopeful home-owners to get their foot in the door. Enter the Arkistruct method: an efficient, cost-effective and sustainable model for constructing houses. 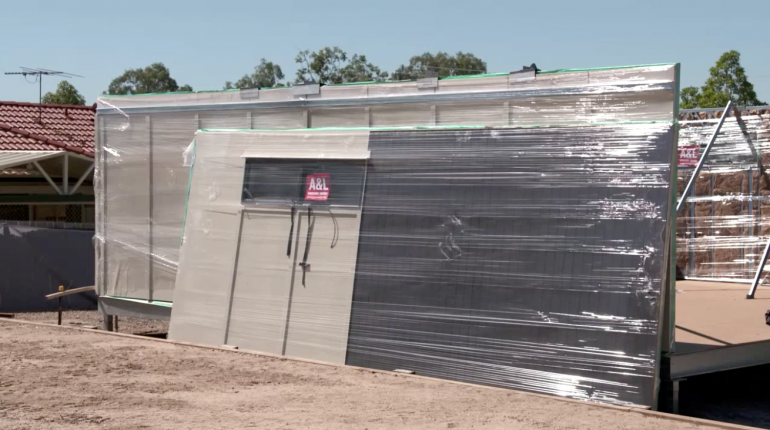 We’ve partnered as a major supplier and the collaboration is already gaining attention, with a feature detailing the partnership on the Healthy Homes Australia TV show. 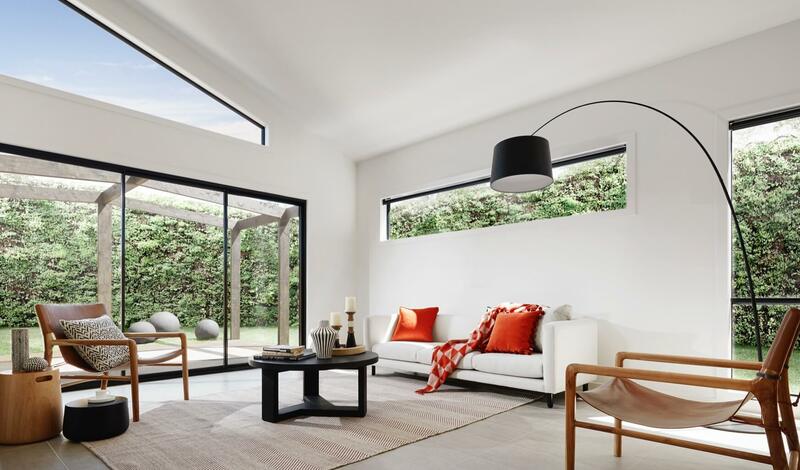 It’s an exciting new option for first-time home buyers, but renovators should be equally thrilled about the prospect of stylish extensions. Drawing on over 75 years of engineering, design and construction experience, Arkistruct’s rapid building systems offer exceptional quality and unparalleled speed-of-assembly. We’re excited to provide the windows and doors for each home design, with 17 different home options in total. The method involves building homes with whole, segmented panels. High quality and quick to assemble, the panels are built complete with cladding on the outside, insulation on the inside, and even feature plasterboard and wiring. 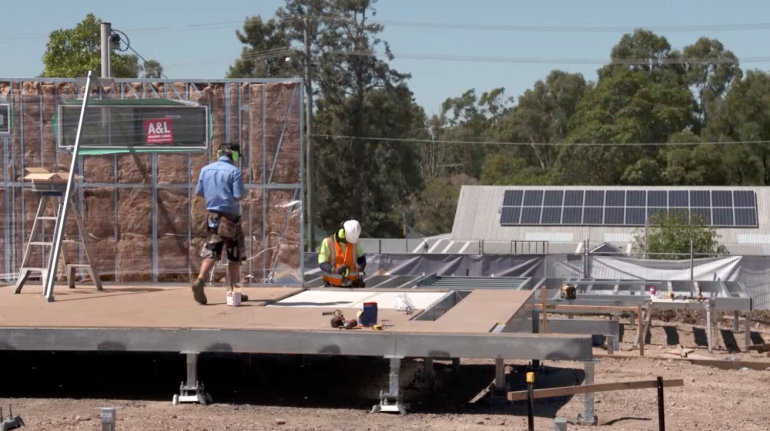 Once the panels arrive on site, all the builders have to do is bolt them together. Arkistruct panels with A&L windows: ready for installation. The versatile approach allows people to build high-end extensions on existing houses, or construct whole town houses, units, or designer granny flats. The benefits are equally as widespread: reducing costs and delivery timeframes for home-owners, investors, builders, developers and housing organisations. Simple construction methods pass the benefit from builders to first-time buyers. The collaboration was an easy choice; both companies are committed to pushing the envelope and exploring new ideas. Arkistruct’s systems align with innovative mass production industries, including the motor vehicle sector, architecture, and engineering. Research and development is a key aspect of their ongoing evolution. 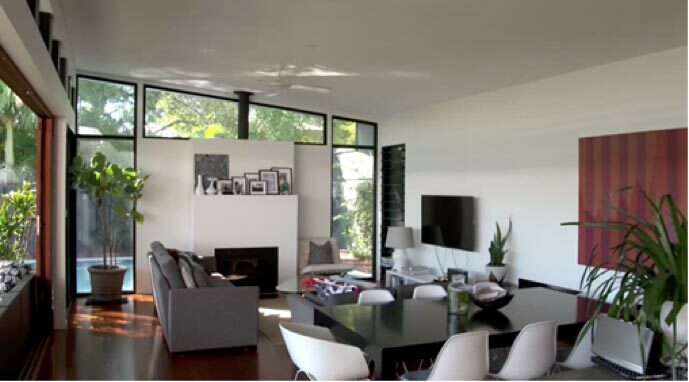 An inside look at the stylish interior of an Arkistruct extension. If you’re keen to learn more about the Arkistruct method or the variety of home styles they have available, head to their website now. Alternatively, get an inside look via the episode on Healthy Homes Australia, and get the full picture on our exciting partnership. Remember to stay tuned for more exciting updates and collaborations in the pipeline.